Last week, I had a terrible shock. 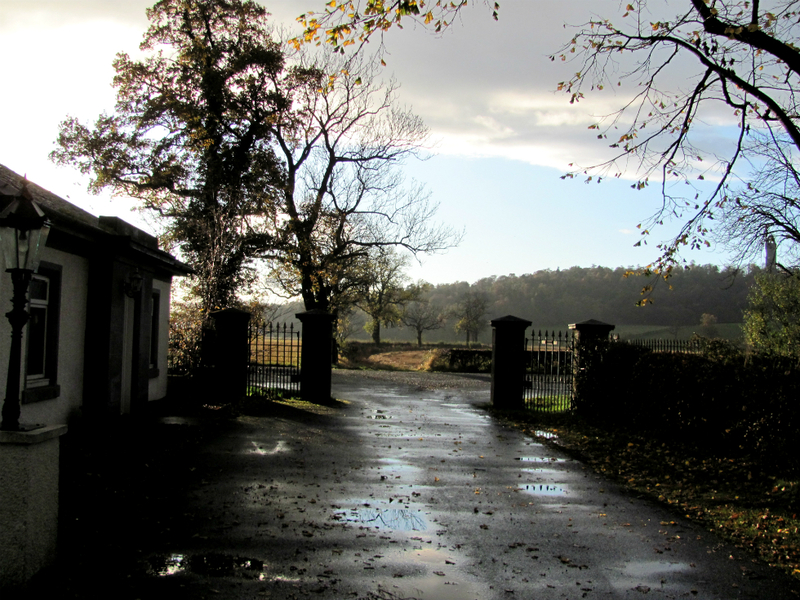 The gatehouse cottage where we live guards a private lane that opens onto a busy main road. Cars and lorries careen along this road at 60 miles per hour plus. Thanks to our walled garden, our free-running beasties can remain safe – most of the time. Last week, I happened across a tunnel in a flowerbed near the garden wall. When I reached into it, my hand felt it open out onto the main road. Broccles the rabbit was nowhere to be seen. I am not normally a fast mover, but I sprinted through the gate and around the house that day as though I was on fire. Broccles wasn’t in the road, nor in the fields beyond. I summoned Bunty out to help search for him, while I blocked off the tunnel and made sure the guinea pigs were still present and correct. They were feasting on windfalls, and had no intention of going anywhere. 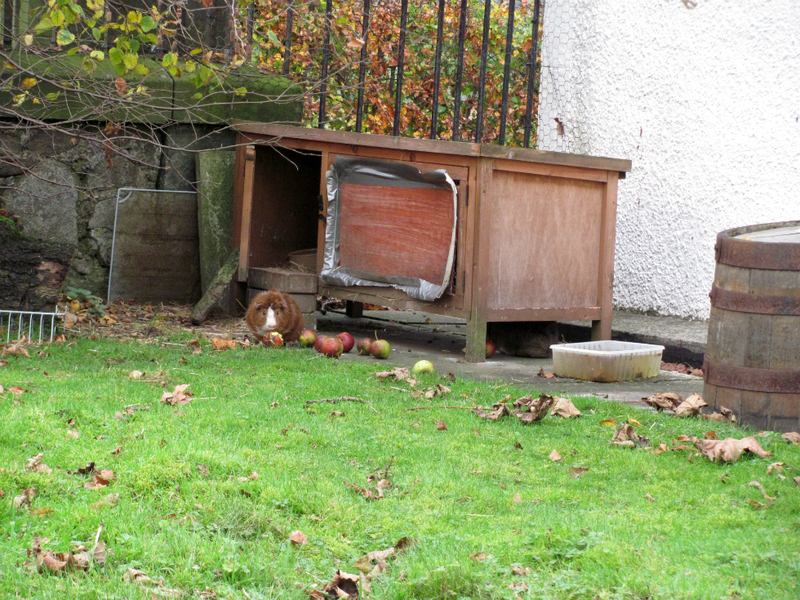 Broccles had, in fact, been sitting in an open hutch, watching Bunty frantically rushing around. Seized with participatory ebullience, he came bounding out and ran in aimless circles around Bunty and all over the garden. I nearly died with relief. It was only then that I realised the tunnel was far too small for a rabbit to fit through: my shock had obliterated this information from my awareness. The next day, there was another tunnel, large enough for a determined guinea pig to squeeze through. We filled it in. The next day, there were two more tunnels. They were inside the garden, however, and not passing under the wall. Every day, more tunnels have appeared. We wondered what could be doing all this digging. We have a mole living under our lawn, whose molehills have been growing gradually bigger over the years. It is possible that this mole could now be of a size to make these new tunnels. Perhaps it has given up on making molehills and taken to burrowing through the flowerbeds instead. Old age does strange things to a person. Then again, the tunnels might have been made by a rat, but I wondered why a rat would tunnel under the wall when it could just climb over it. Could the guinea pigs have taken up tunnelling? Could a water vole have crossed the fields to live in our garden? Whatever it is, the guinea pigs’ feed has been going down faster than usual.